Our DNA is our personal blueprint and contains all our mental, physical, emotional and spiritual information. The original Human Being had 12 Strands of DNA actively working and maintaining the full function of the Human as a Spiritual Being. With our over preoccupation with left brained thinking and the closing down of our heart centers, these ‘extra’ DNA strands have been lost. The consequences of this loss are that we live in a spiritually deficient society and our intuitive and healing abilities have been hugely reduced. It has also resulted in us only accessing and using a very limited part of our brain. To transcend in Human form is a blessing as out body holds a wealth of information, wisdom and knowledge on every aspect of ourselves, our universe and all of life. Inside our bodies we have the formulas required to replicate all other form of intelligence throughout the universe. When a child is conceived it receives two different bloodlines from the parents certain matched and paired genes these genes hold the light codes( there are 64 light codes in a human DNA out of which only 20 are active light codes. )The light codes give us the highest opportunity for accessing and developing our Spiritual abilities and for healing the damaged and wounded aspects of our Soul. At the same time these genes hold memories which have created blocks to our path to oneness and initiated our deep-rooted feelings of separation, separation from our true essence and Source. This memory of separation has forced us to created experiences and situations where we are given the opportunity to heal ourselves, our world and our separations. There are so many times when I see people expressing discomfort with the family they were born to or the country they were born in without realizing that it was purely their decision to be in these circumstances. A soul has to constantly evolve in order to experience its expansion.The soul chooses its parents and family , the time and place of birth to undergo an experience in the human form. This causes the healing of the soul and its expansion. The energy of our Earth is moving through major vibrational shifts and into higher levels of consciousness. There is an increase in the earth’s vibration and this is what we experienced on 21st Dec 2012 and we will experience consecutive shifts in coming 20 -25 years triggering our ascension. As this rebundling and reordering progresses we create a more evolved nervous system that facilitates new information and data to move into our consciousness. Many of our dormant brain cells are being activated and we are being able to access our full body potential. As our bodies fill with more light so our memories are opened and we evolve as our DNA evolves into conscious Multidimensional Beings. 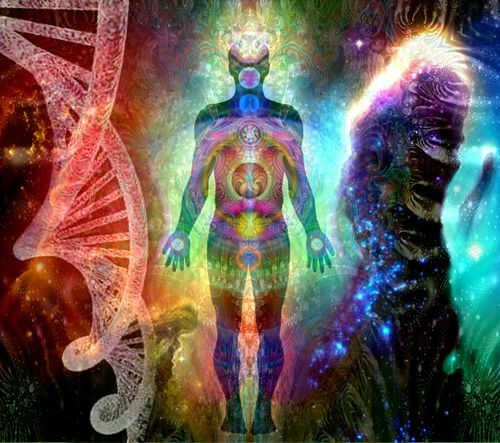 Our 12 strands of DNA activate and connect to our 12 Chakra points, energy doorways through which we access our Spiritual heritage. 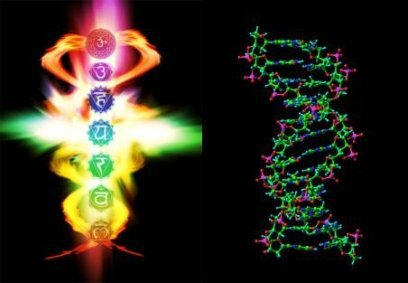 The 12 strands of DNA serve as links through the 12 chakras to the energy web outside of our bodies. The 12 chakras act as energetic doorways into our body connecting us to the vital forces of existence. It is through opening and activating these portals of energy that we can begin to truly know ourselves. As all 12 strands of DNA are now forming, whatever issues we have not dealt with and peacefully cleared in our personal history, will create chaos. Feelings and memories are emerging offering us an opportunity to experience the fabric of our being and revealing who we are through the events and beliefs that are intricately woven into us. A coded message has been found within the molecules of life, deep within the DNA in each cell of our bodies. In this book what we once believed of our past is about to change. Through a remarkable discovery linking Biblical alphabets to our genetic code, the ‘language of life’ may now be read as the ancient letters of a timeless message. This message is the same in each cell of every man, woman, and child, past and present. During his extensive 12-year study of the most sacred and honored traditions of humankind he has discovered tangible and unprecedented evidence that we are all part of a greater existence. Very well written Sargam. What Bradden has not gone into is the design of the human being is also encoded in the first fertilized cell and each organ in the body is formed according to that information. How does he explain this & do the extra strands have any role at this stage? The 12 strand DNA gives access to the 12 dimensions of consciousness and cosmic secrets. The activation of these strands at this stage will help us to connect with the universe within. Meditation for activating the Kundalini help us access higher consciousness and in some way help activate our DNA strands. You can also read the Hebrew Tree of Life which shows the attributes of the world as 10 Sephiroth in pranic healing we have a beautiful meditation on Lords Prayer which helps activate each of these sephiroth within.